Intact gun carriage raised from 17th c. shipwreck. Fascinating subject with a very interesting story. Of all the objects I’ve worked with in my eight years as an interpretation officer at the British Museum, the Sudanese lyre is perhaps the most intriguing. Made in northern Sudan, probably in the late19th century, it would have been played by a male musician at weddings and harvest festivals as part of a small band. 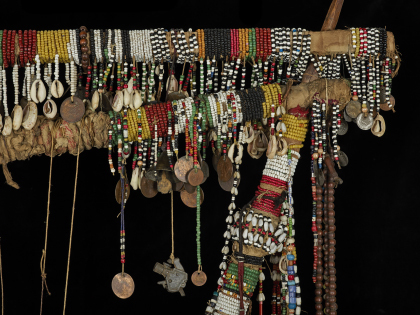 It may also have been used in zār ceremonies – healing rituals involving spirit possession that are still practised in Sudan, Egypt and Ethiopia today.